Professor Olanike Kudirat ADEYEMO was born at Ibadan on 17th July, 1970, to the family of the late Alhaji Moshood Akanni Salami, Baale Ladogan of Iseyin, Oyo State and Madam Modupeola Aduke Salami of Ile-Loosare, Igbajo, State of Osun. She started her primary education at LEA Primary School, Kigo Road, Kaduna (1975-1978) and later attended CAC Primary School, Sango, Ibadan, from 1979 to 1981. Her Secondary School education was at Anwar-Ul-Islam Grammar School (formerly Ahmadiyya Grammar School), Eleyele, Ibadan where she completed her West African Secondary School leaving Certificate in 1986. She had a brief stint of Advanced Level studies at St. Annes School, Molete before she entered the University of Ibadan during the 1987/88 session to study Veterinary Medicine. She undertook the National Youth Service Corps Scheme from June 1994 till May 1995 as a Veterinary Officer with the Safana Local Government Area, Safana, Katsina State. She had her postgraduate trainings (MVPH and Ph.D.) at the University of Ibadan and was employed as a Lecturer Grade II in the Department of Veterinary Public Health and Preventive Medicine, Faculty of Veterinary Medicine on March 15 1999. She rose rapidly through the ranks being promoted to the grade of Lecturer I in 2002, Senior Lecturer in 2005, Reader in 2008 and Professor effective 1st October, 2011. She has a pioneering role as the first female in the field of Aquatic Veterinary Medicine in any Faculty of Veterinary Medicine in Nigeria. Her research focus is premised on “One Health”, which promotes health through interdisciplinary study and action, across all animal species, human and the environment. This unique perspective and approach has produced research outputs which addressed aquatic epidemiology/pollution and emerging diseases with the potential for significant transboundary and/or socioeconomic impacts at the animal-human ecosystem interface; thus, providing a strong evidence base to support policy decisions on global public health at international, regional and national levels. Professor Olanike Adeyemo has 96 publications to her credit. These include Chapters in books, Journal articles, conference proceedings, Technical Reports and Monographs. She has supervised 28 DVM, 22 postgraduate students (MVPH and PhD), and she is currently supervising 12 postgraduate Students. She has obtained funding /awards towards research and professional development from MASHAV, Israel (2005), START/PACOM, USA (2006), USDA/USAID, USA (2006), USDA/Foreign Agricultural Service, USA (2008), Nuffic Fellowship Program Grant, Netherlands (2009), IFS, Sweden (2010-2012) and Schlumberger Foundation, USA (2013-2015). On account of her multidisciplinary research designed to deliver much needed, cutting-edge knowledge on the relationships between ecosystems, zoonoses, health and wellbeing; she has garnered a lot of award and recognitions for her significant contributions. She has received University of Ibadan’s Vice-Chancellor’s commendations thrice for Academic Excellence and Achievements. Prof. Olanike Adeyemo was appointed to the roster of toxicological and epidemiological experts of the Joint FAO/WHO Committee on Food Additives (JECFA) from 2011-2015 and renewed from 2016-2020. She was listed in the 2011 edition of “Black Achievers in Science and Technology”, an African Scientific Institute’s publication, which recognizes the achievement of excellence of Individuals of African heritage in his/her field of endeavour. Prof Adeyemo is also a Fellow of Leadership for Environment and Development (LEAD), Eisenhower Fellowship program and African Scientific Institute (ASI). In 2012, she was nominated and elected Fellow, African Academy of Sciences and in 2016, Academy of Science (Nigeria). 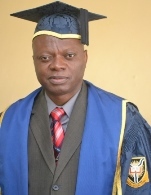 Professor Adeyemo intends to continue with the cornerstones of effective scholarship, leadership and administration at a higher level to assist the Vice-Chancellor in achieving his mandate and the vision for the office of Deputy Vice Chancellor, Research, Innovation and Strategic Partnerships. She enjoys the support of her loving husband, Biodun, and they are blessed with 3 sons and a daughter.